Is it Droid Love? I never thought of them like that, but I guess it could be. You may have heard something about the royal baby. 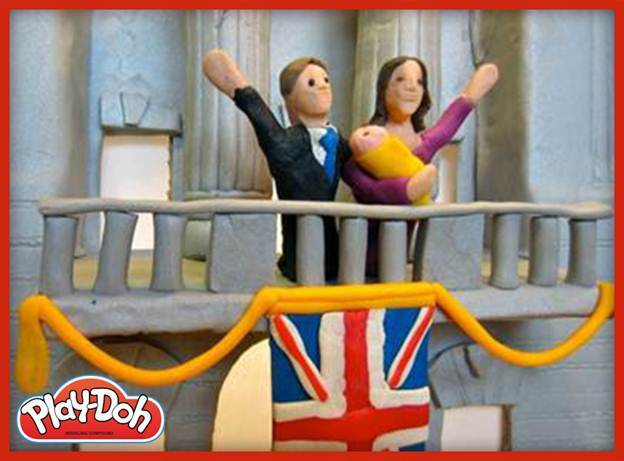 But have you seen the royal baby and family rendered in Play-Doh? You’re about to. What’s that you say? You haven’t heard anything about this? Are you sure? It kind of took over all forms of media, social and traditional. 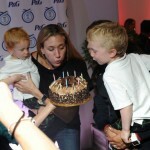 Son of Catherine (aka Kate Middleton), Duchess of Cambridge, and Prince William? Grandson of Queen Elizabeth II? Future King of England? Not ringing any bells? Photo courtesy of the good folks from Play-Doh. Right? Cute kid, and well-done costume. We particularly like the flames. For the uninitiated, The Dirty Sock Funtime Band has been described (by me) as the Frank Zappa of the children’s music scene. (It may be tacky to quote yourself, it does make for easy fact-checking.) You may have seen them on Jack’s Big Music Show , or heard their tunes at Chuck E. Cheese. Here is the video for the Dirty Socks’ song Baby Spies , which inspired the cute photo above. If you like that — and why wouldn’t you, it’s great — you should check out the band’s RocketHub campaign for their new album, The Dirty Socks Come Clean. There a variety of ways you can “Join The Band” (not literally) while getting some cool stuff, such as a signed poster, t-shirts, and an early download of the new album. Learn more here. Buzzfeed was kind enough to post these pics of a baby hanging out with a bunch of French Bulldog puppies. We’ll just give you the link. Whatever badness is currently happening in your life or the world, these 11 pics are a welcome respite from that. Me. Yes. Driving a race car. On the Las Vegas Motor Speedway.